Australian Made and Owned Superfoods Welcome to the next generation of 100% pure and natural Functional Wholefood Supplements. Our supplements work from the inside out, promoting well-being and healthy ageing. Ancient & Wild Organics are the creators of Australia’s premium Organic Marine Collagen range: Youth Elixir Marine Collagen, Collagen Athlete with Glutathione and Collagen Clinical with Hyaluronic Acid. GH Produce offers a range of Paleo inspired granolas, bake mixes, snacks and baked goods, all of which are made with the highest quality ingredients with a focus on sourcing local, native and organic where possible. GH Produce provides suitable options for people with food allergies, or those just looking for a healthier and more ethical option. The best part about GH Produce products is that they taste great and are made with love!! Yoga Australia is a voluntary, not-for-profit association, incorporated in 1999 (originally known as the Yoga Teachers Association). It was originally founded by a group of independent yoga teachers who recognised the need to bring yoga teachers together from all different traditions, styles and backgrounds, to provide mutual support and professional recognition of yoga in Australia. Today Yoga Australia is recognised as the peak body for Yoga in Australia. We strive to support our fellow yogis and ensure the sustainability and longevity of our industry in this country and around the globe. Come and say hi to the crew from All The Lights- a performance company based in Perth. Learn about movement meditation through hula hooping and have a hula hoop with us! We will be selling discount price hula hoops at our stand, all handmade with love by our WA team! And we also have a competition to enter wth a fantastic prize up for grabs! The Athlete’s Foot Australia operates online & through 138 stores, most of which are franchised across Australia and New Zealand. We are still the largest retailer of athletic footwear in Australia stocking over 50 brands across the stores. For over 40 years, The Athlete’s Foot has led the way. Today we’re taking everything we’ve learned on our journey and pushing that a bit further. We’re focusing on where our true passion lies: performance. From in store to online, our vision is to empower everyday athlete’s to better their best. Alit is an Australian- made cosmetics range that has been developed for real women. Women that love to look good and care about themselves but down to earth at the same time. Alit Cosmetics offers a natural alternative to conventional cosmetics, without compromising on performance or durability. 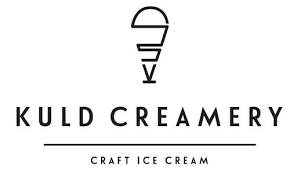 Down to earth / sustainable / real/ natural & environmentally friendly. Our makeup range is made of 100% minerals and natural ingredients. It’s free from toxins and cheap fillers, such talc and parabens, as well as being free from irritants like bismuth oxychloride. The formulations work in harmony with the skin to not only cover imperfections but to help improve skin tone for a natural long-lasting glow. 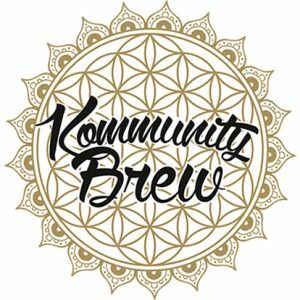 Kommunity Brew is a West Australian kombucha brewery designing beverages for well being using ancient principles & contemporary science right here in Perth. Applying time and careful measurement, Kommunity Brew Kombucha is a health-fortifying beverage with all-natural carbonation and a nutritious hit that mimics a B-complex and an enzymatic supplement all in one delicious elixir. It’s a living beverage of fermented tea that is as delightful as a glass of wine or beer. Ready to support local growers, organic movements, and sustainable practice, Kommunity Brew is here to serve You -The Kommunity – to bring about abundant health and wellness and in doing so we aim to brew goodness for our community! Interested in learning how to better support your emotional balance and mental health? Want to start reducing the toxic load in your home or workplace? What about helping your body to recover from exercise better or you want to invite more energy into your life, so you have that special ‘Get Up GO!’..? Then we have the right people and the best products for you! Come and speak with our friendly team and learn how to you can partner with your emotions and enhance your life by using the high-grade essential oils from dōTERRA. We’ll show you how you can have these gifts of the earth in your home while making ethical shopping choices that have a grander impact on our global community that suits any budget. PLUS we are offering 5minute meditations on the hour using select essential oils to help create feelings of calm, ease and focus – plus if you’re lucky, you may also receive a unique AromaTouch massage experience from one of our knowledgeable team! Juices by RE:FRESH JUICE + CLEANSE are designed to purify. Introducing high levels of vitamins and nutrients to keep you looking and feeling great.Our chef and owner, Liam, carefully curates each juice blend. The produce is local, the juice is fresh and the benefits are infinite. More than just a mixed juice, our cold pressing equipment is state of the art. And our precise blends aim to unlock a multitude of health benefits centered on your lifestyle. With this in mind, we have custom-made cleanse programs for the dedicated. Or quite simply, fresh juice delivered to you and your family each week. Our Community Yoga will be offering a seated chair massage in a specially designed massage chair (no need to remove clothing). The service is provided on a donation basis, whatever you think it is worth or can afford! They will also be offering MAGNESIUM OIL products from Amazing Oils for pain relief. 100% organically sourced Australian Magnesium. 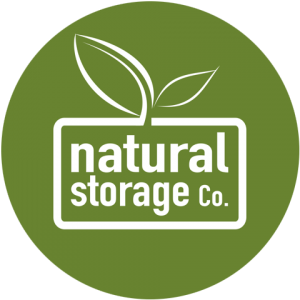 Inspired by the beauty of the natural world and the devastating impact of single use plastics the Natural Storage Co is on a journey to provide a range of sustainable, natural alternatives. We do have a range of printed wax wraps but are moving away from commercially produced textiles we are focussing on creating a range of cloth that utilises ethically made, organic cotton, linen and hemp, dyed with natural plant and non-toxic, environmentally friendly dyes. Using locally sourced beeswax from small, sustainable apiarists we also blend ready-mixed blocks for home use and provide workshops that encourage people to move away from plastic and change to a more natural alternative. Insite Mind is a personal development company helping people live a happy and inspired life through mindful stationary, workbooks + starter kits. We believe we all have a well of happy days inside of us and our range is designed to help connect people to that very source. EnviroBren is all about the environment and the animals who share it with us. Every product is palm oil free and cruelty free, reusable and definitely eco aware. We need a healthier planet and by reusing instead of disposing we’re all doing our bit. From reusable coffee cups, bread bags, produce bags, shopping bags to bamboo toothbrushes, reusable straws, compostable bin liners and water bottles. If you want to do the right thing by our environment, come and see Brenda from EnviroBren.